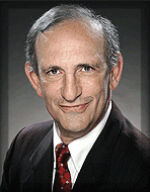 Rider is chairman of the San Diego Tax Fighters. Everyone loves firefighters. Especially me. Volunteer firefighters are my heroes. Liberals in California vehemently dislike the California initiative process. Indeed, they just tried to enact an effective ban on the process, but the bill was vetoed by Gov. Jerry Brown. In November, the San Diego mayor, the city council, the labor unions and the downtown business subsidy establishment (the Chamber of Commerce, etc.) got their collectivist backsides handed to them on their Prop D sales tax increase. With a 62 percent "no" vote, it was the most lopsided defeat of a sales tax increase I've seen to date. After an epic battle, it was a particularly satisfying win for the rest of us. Granted, Jerry Brown is crazy. Proof positive is that he ran for governor of California, a doomed state. But he just might be crazy in a good way. When it comes to gathering sufficient property taxes, Prop. 13 is no problem at all -- except for profligate spenders. Look at the history of our San Diego County -- a history that pretty much reflects the history of property taxes in the urban/suburban counties that hold over 90 percent of California's population. I spend a lot of time comparing California's tax and regulatory climate with other states. The reason is simple -- people are reluctant to leave a country (especially the United States), but they WILL leave a state. And so will businesses. California's residential electricity rates are often outrageous compared to the rest of the nation. And, to get to the bottom line, under our insane 2006 AB32 "Cap and Trade" legislation, these rates are predicted to go up ANOTHER 30 percent or more -- while all the other states have chosen not to commit the same economic suicide. Regardless of one's viewpoint, the initiative process is a two-edged sword. But at least it gives the voters a way to both bypass and control politicians. You probably shouldn't gamble. Odds are, you'll lose. You might even get hooked. I say again -- don't gamble. On May 5, a clear message was sent that voters will no longer obediently approve the politicians' tax increases. And that's great news! A $75,000 salary can provide three city pensions totaling $154,000 annually -- plus another $1.3 million lump sum payout upon retiree's death.